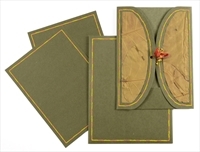 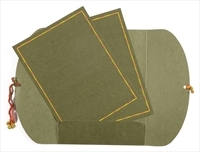 D-43S, Green Color, Designer Multifaith Invitations, House Warming. 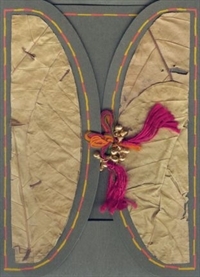 A unique concept with dried original leaf pasted on the cover which is in a door open form with a traditional string and moli border all around. 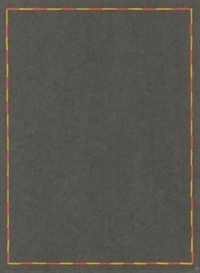 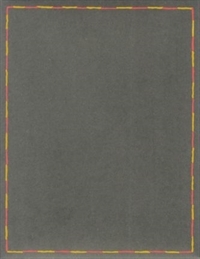 Two inserts with moli border. 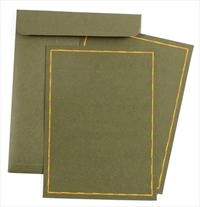 Envelop also in same material with moli border.